This is one of the better spots to go for a run in the Juhu area, near the airport. 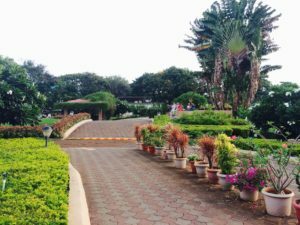 There is a dedicated ‘Joggers Park’, which is a little green oasis with dedicated paths, where one could put together about 1 km. It is less than 1 km from Juhu Beach and the JW Marriott Juhu and Novotel Mumbai Juhu Beach. There’s a fee of Rs.5. and it’s open 5am-10pm. 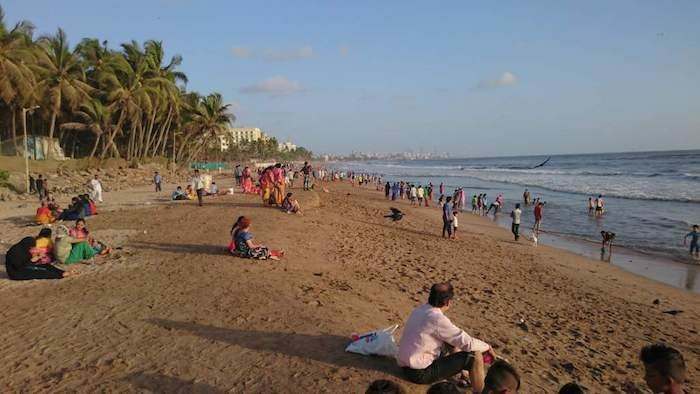 It is also possible to run along the beach (Juhu Chowpatty), although it can be a bit dirty and crowded. But it’s wide and the sand can be firm and flat. It’s about 3 miles one way along Versova and Juhu Beaches. Beach is about 3 miles one way; Joggers Park is small - lots of ~1 km laps!